Jenkins – The Flooring People is proud to announce they now carry the CLEO Home Collection by Congoleum. Traditional resilient floors feature a core, design layer, and a wear layer while Cleo is digitally printed directly on the limestone core. It has an exclusive Scotchgard coating on the surface, this features makes the visuals clearer. The flexible 85% limestone core makes the product more stable for temperature fluctuations. 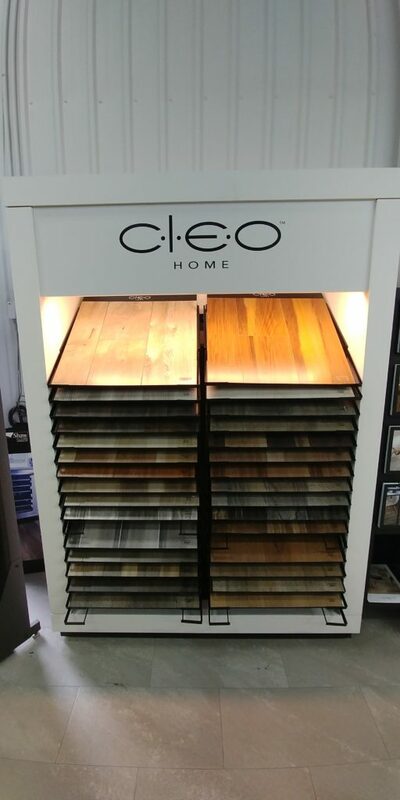 Cleo is a glued down product and can be grouted or installed edge to edge in both wood or stone visual pattern. Cleo is also a green product — it contains no PVC, plasticizers, phthalates, and chloro-chemicals. 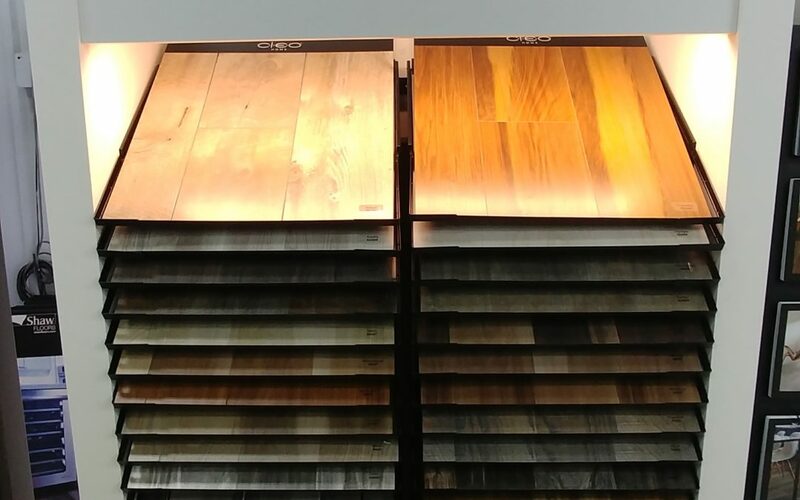 Cleo is a waterproof product, with matching custom trim mouldings, and a lifetime warranty. Welcome to the next generation in home floor coverings – see us at Jenkins – The Flooring People in Dauphin and Brandon for more information.